The 32GB Google Nexus 7 tablet has been priced in the U.K. at £199.99 ($318 USD), but a couple of high street retailers have cut £20 ($31.80) off the price. The first up is Comet, which is in the midst of a liquidation sale and has reduced the price of the 32GB Google Nexus 7 to £179.99 ($286 USD). That discount is in line with the 10% off everything liquidation sale offered by the retailer. 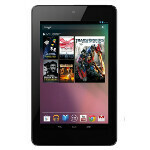 The sale price applies to the stores only and is good only while the tablet is in stock. Comet's rival, Currys PCWorld, matched Comet's price cut to £179.99, but that is after a £20 rebate. And there is a caveat. 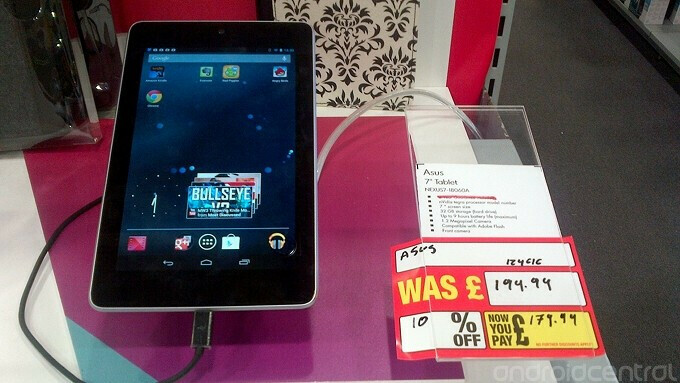 The price is good only with the purchase of a case for the tablet, from Currys line up. Since the money you save could be applied to a new case to protect your investment, it's a win-win for the buyer and the retailer. The Google Nexus 7 is equipped with a 7 inch LCD display with resolution of 1280 x 800 which works out to a 216PPi pixel density. A quad-core 1.2GHz processor is under the hood with 1GB of RAM on board. A 4325mAh battery is powering the device and adding fuel to the fire in case of a meltdown. In the states, the 32GB Google Nexus 7 is priced at $249 from the Google Play Store. I've tried this tablets less than a month and I must say, this tablets is highly highly highly recommended and worth to buy! Hate me all you want :P without the debate this is the best tablets you will ever get! Dude which side u are ? U are are favoring and bashing all brands. Do u have a split personality or simply u are just dumb. not better than kindle fire hd,.